If you are looking for the utmost in elegance and style for your wedding, you will surely find what you are looking for with an Elegant Southern Highlands Wedding at the Gibraltar Hotel. 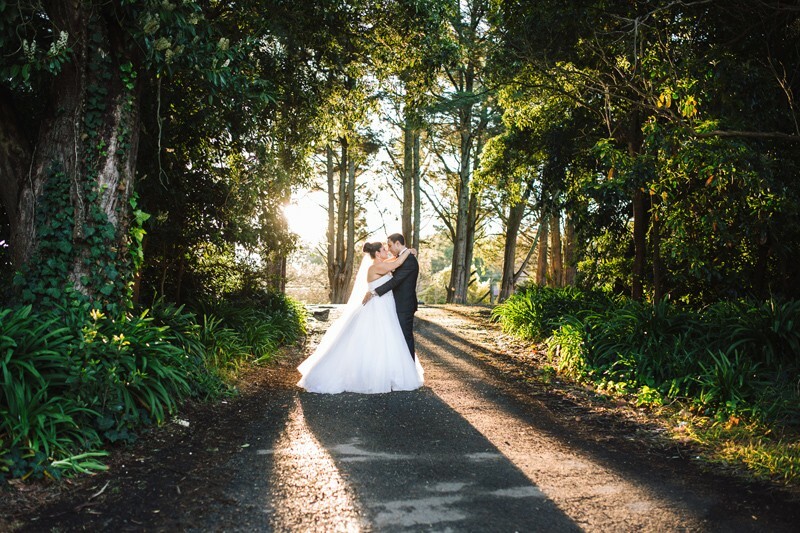 The wedding venue at the Gibraltar Hotel features two distinct locations for your ceremony – on the grounds beside the spectacular lake with an incredible backdrop of 100 acres of deciduous trees or if you want something indoors choose the incredible gallery with floor to ceiling windows. There is even a loft space for your media crew with a unique angle to capture all of the event without being in the way of your guests. The Southern Highlands at Weddings Gibraltar Hotel offer an excellent choice in wedding spaces. The ceremony itself is mentioned above where you can choose between The Gallery which offers 22 foot ceilings and a full sized cathedral church organ with wall to ceiling glass or the hotel grounds with stunning views and an outdoor setting showcasing the best nature has to offer. As far as your reception, there are four reception spaces. Choose between the Ballroom which seats up to 260 guests and even has a dance floor, the Observatory which seats up to 100 guests and also has a dance floor, or the Gallery which is a luxurious space complete with modern feature lighting and floor to ceiling windows. The Ballroom allows for direct access to the outdoor terrace and you have amazing views of Mount Gibraltar and the golf course. If you choose the Observatory, you will love the intimate accommodations and ambiance with the private bar and open fireplace and the Gallery also has a more intimate setting that is perfect for a smaller wedding reception. Last but not least, Harvey’s Bar has open space, cosy lounge areas, and you can choose the outside terrace or dance the night away on the dance floor. They serve up adult cocktails and have a gorgeous bar with stunning decor. Don’t forget the photo opportunities either. The Southern Highlands at Weddings Gibraltar Hotel has a wealth of perfect spots for photos such as the 100 year old pine trees as a backdrop while you pose on the grassy area, Mt Gibraltar as a backdrop while on the golf course, leaving the golf course in a golf cart, in or in front of a huge weeping willow tree, or use the huge LOVE sign where you can pose in, around, or in front of it. The possibilities are endless. Of course, no wedding is complete without wedding entertainment from Lily Road Band. Known as one of the best wedding bands, you can choose a wedding singer only or pick the band and have songs for weddings that are popular or classic – your choice. And these aren’t your typical wedding singers that you see in the movies – these are professionals that provide wedding entertainment you won’t soon forget. Choose from blend of current tunes mixed with material from the 60’s, 70’s, 80’s, and 90’s and there are packages to choose from. For instance, the band doesn’t just come play and that’s it – there is dinner music that is appropriate to a relaxing atmosphere, ceremony music to make the wedding event spectacular, first dance music, and let’s not forget that there is party music to ensure that your guests dance the night away. The packages range from a Silver Package, Gold Package, Platinum Package, and Deluxe Package – something to fit everyone’s needs and budget. So if you are looking for a Melbourne wedding band or a Sydney wedding band, simply contact us by phone at 0401 594 986 or email: greg@lilyroad.com.au so we can help you get started on making your wedding the most memorable event in your life.